ISTANBUL, Turkey (Morning Star News) – Convert from Islam Ebrahim Firoozi learned only in the past week that an Iranian appeals court in December upheld his five-year prison sentence for crimes related to practicing his faith, advocates reported. At the same time, the appeal of three men sentenced to 80 lashes for drinking Communion wine has been further delayed, according to Christian Solidarity Worldwide (CSW). An appeals court ruled on Firoozi’s case on Dec. 11, 2016. In April 2015, a judge found him guilty of “actions against national security, being present at an illegal gathering and collusion with foreign entities” – all standard charges leveled against converts to Christianity in Iran – and sentenced him to five years in jail. In January 2011, security officials arrested Firoozi and held him for more than 150 days. He escaped being charged but endured intense interrogation about his beliefs, how he came to faith and the leadership structure of church bodies in the country. Authorities later released him, but on March 7, 2013, four plain-clothes security agents came to his office, seized his computer and religious books and took him into custody. Officials told his family he was being arrested in connection with an illegal Christmas gathering in which 50 Christians were briefly arrested. Eventually authorities claimed that Firoozi was involved in setting up and running a website about Christianity, disseminating Bibles and acting against national security. A little more than a month later, he was released on bail of approximately $20,000. On July 15, 2013, a court convicted him on charges related to Internet activities and sentenced him to one year in prison, followed by two years of internal “exile” in the border town of Sarbaz. 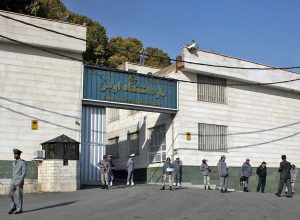 Prior to being ordered to report to prison, Firoozi on Aug. 21, 2013 was arrested in Karaj along with two other Christians, and then in October of the next year transferred to Rajai Shahr Prison in Karaj. 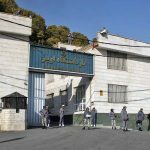 He served his sentence and should have been freed from prison in January 2015, but authorities refused to release him, according to Middle East Concern (MEC). Human rights activists say it is common for imprisoned Christians who refuse to sign an agreement promising to refrain from all Christian activities to be charged with other crimes in order to keep them incarcerated. On March 5, 2015, Iranian authorities tried Firoozi with the crimes for which he is now confined. He was sentenced the next month. On July 13, 2015, he was beaten for refusing to attend an appeal hearing; he had thought his lawyer could attend alone. As disappointing as the appeal decision was to Firoozi, three other Christians – Mohammadreza Omidi, Yasser Mossayebzadeh and Saheb Fadaie – have entered their sixth month in limbo waiting for the results of their appeal. On Sept. 10, 2016, after a trial that lasted 10 minutes, all were sentenced to receive 80 lashes for drinking wine during a Communion service. Authorities in Rasht have referred charges against them of “acting against national security” to Tehran, resulting in further delay in this case, according to CSW. On Oct. 25, 2016, attorneys for the three men filed an appeal to have their case overturned on grounds that still have not been released to the public. It was the second time Fadaie and Omidi have been sentenced to flogging for taking Communion. Although Christians are allowed to consume alcohol in Iran, Muslims are not. The three men are converts from Islam and by law are still considered Muslim, as conversions away from the Islamic religion are not recognized in Iran. A week prior to filing the appeal, on Oct. 15, 2016, the three men and a fourth convert, pastor Yousef Nadarkhani, were tried on charges of “acting against national security,” a catch-all charge often used by the government to punish different types of religious and political dissent. The government often uses it against converts instead of the charge of apostasy, according to freedom of religion advocates. Hearings regarding the charges followed on Dec. 14 and on Feb. 9, with no verdict issued, according to MEC. As part of a larger crack-down on house churches in Iran in 2016, the country’s internal security apparatus, VEVAK, conducted a series of raids against at least 10 Christian-owned homes on May 13, 2016. Officials temporarily detained Nadarkhani and his wife, Fatemeh Pasandideh, but then released them both. Authorities took Mossayebzadeh, who was also at one of the houses, into custody. In 2010, the Iranian government charged Nadarkhani with apostasy and sentenced him to death. His Christian faith had been discovered after he went to his children’s school to question the compulsory Islamic religious education requirement. Eventually court officials acquitted him of the charges, and in September 2012, he was released from prison. He was found guilty of evangelizing, however, and three months later ordered back to prison on Dec. 25, 2012, and released Jan. 7, 2013. The health of a convert imprisoned for her faith has taken a dramatic downturn over the past few weeks, causing her family to speak out to the news media, advocates reported. After an ongoing battle with heart disease, the effects of at least two hunger strikes and continued poor medical treatment, Maryam Naghash Zargaran’s weight has dropped to dangerously low levels, according to Mohabat News. The news service reported that she is in urgent need of medical care from cardiologists, which has been denied by Iranian authorities, either on the national level or from Evin Prison where she is jailed. Previously the prosecutor in her case denied a temporary release for medical treatment. Zargaran suffers from a serious congenital heart condition known as an atrial septal defect, commonly referred to as “a hole in the heart,” and also has severe headaches accompanied by ear pain, tremors, chronic joint and spine pain and numbness in her hands and legs. In June 2016, she was allowed to leave the prison temporarily and go to a hospital for treatment. Abedini was found guilty of the same charge and sentenced to eight years in prison, but he was released in January 2016 after serving more than three years of his sentence as part of negotiations over a nuclear non-proliferation agreement with the United States and other aligned nations. Two Christian converts, a mother and son, are still missing after intelligence agents from the Revolutionary Guard arrested them on Feb. 20 in Urmia. Anousheh Reza Bakhsh and her son Soheil Zagarzadeh Sani, a university student, both converts to Catholicism from Islam, were arrested in their home in northwestern Iran. The agents raided their home and confiscated Bibles and religious books, according to Mohabat News. 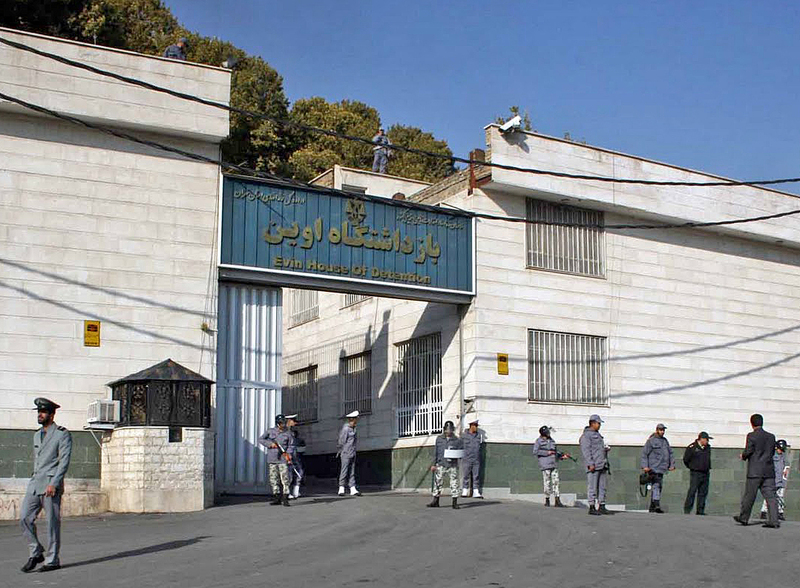 It is believed that those arrested in Urmia for faith-related charges are normally detained in the Revolutionary Guards Intelligence building. The arrests are said to illustrate the hypocrisy within the government’s approach to religious minorities. A prominent Iranian cleric, Alavi Boroujerdi, recently claimed that religious minorities have absolute freedom in Iran. During his campaign, Iranian President Hassan Rouhani stressed equal rights for religious minorities. But advocates cite an increased crack-down on religious dissent since Rouhani came to power. In Christian support organization Open Doors’ list of countries where it is most difficult to be a Christian, Iran had a score of 85 out of 100 in the 2017 World Watch List, up from 83 the previous year, raising Iran’s place in the overall ranking of countries from ninth to eighth.